Just in time, my November 2014 print is presented and it is already accompanied by the December print. Since we will be traveling, I will not print anything in December, but I did not want to skip the last print of the year. The photograph above has been taken earlier this year, in February, on a hike around Pfäffikersee. 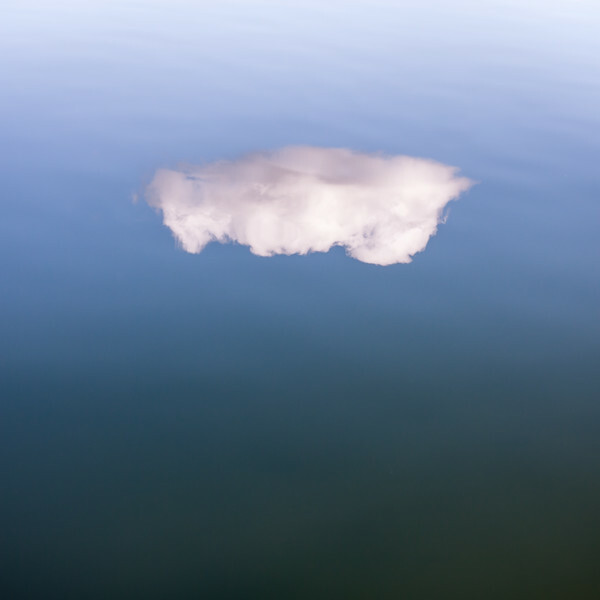 The cloud appears upside down, because it is not at all a real cloud, but just its reflection on the smooth water surface - it is thus a water cloud. 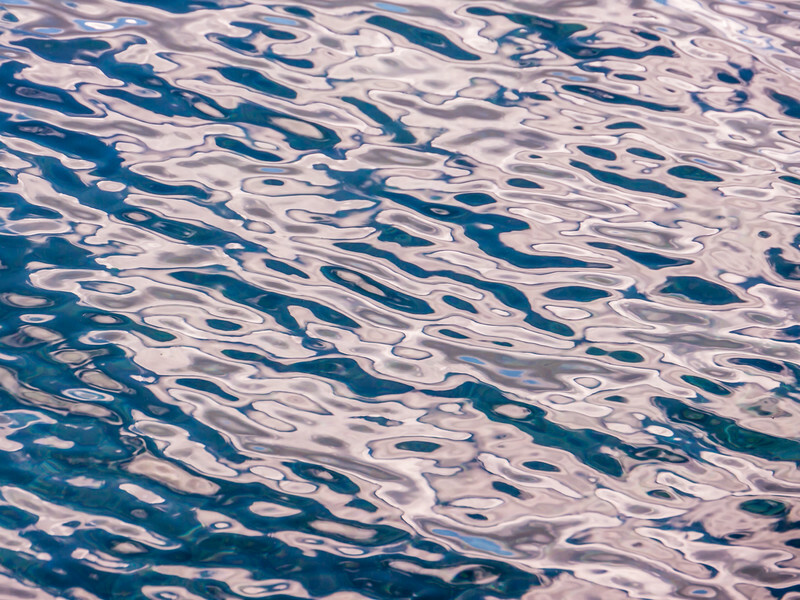 I really like the color gradient from the dark foreground to the light blue background and the shallow waves on the water at the top. The photograph below was taken three months later, in May. In and around Zurich, this is usually the time grasses start to flower and my hay fever sets in. When I captured the hay fever photograph, I was actually photographing cicadas. I took just this one photograph of the pollen clouds that were released from the blades of grass as I touched them and I was not expecting much. When I looked at the result (only later, at home), I was pleasantly surprised and "Hay fever" is one of my preferred photographs of this year. 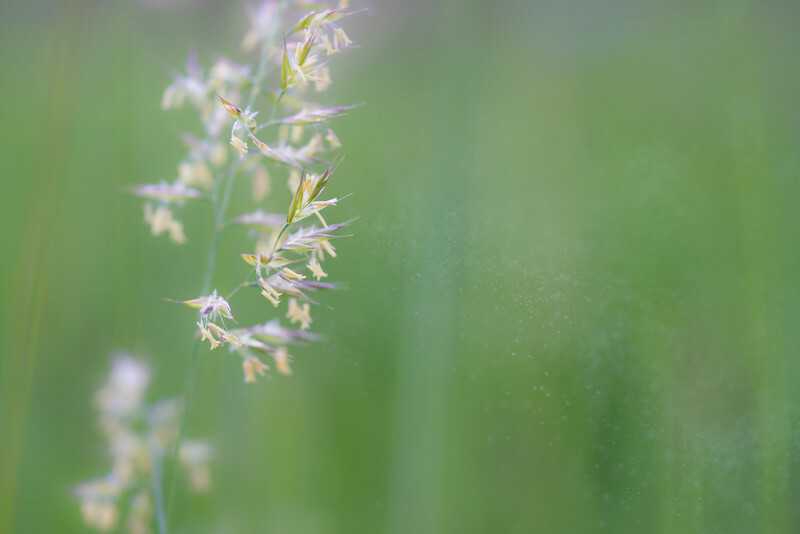 I am still fascinated that it is possible to capture and visualize flying pollen grains and I really like the light shades of greens and out of focus grass blades. If you want, have a look at all my prints of this year or suggest a photograph to be printed next year! 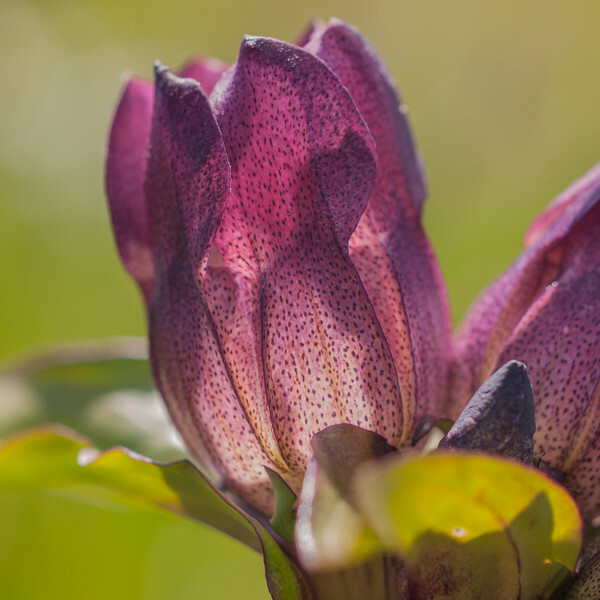 This Hungarian Gentian was photographed in the Bavarian Alps, on a mountain where I knew these beautiful, sightly plants to abound. 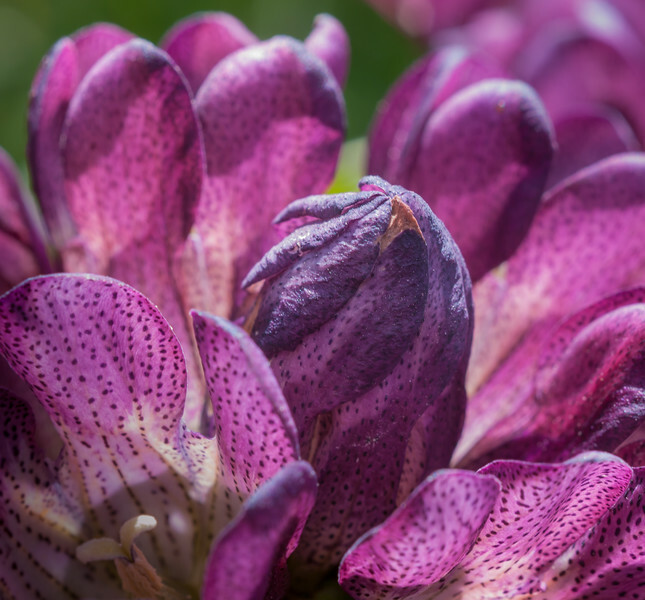 Gentiana pannonica is a notable gentian in at least two ways: It has purple-magenta colored flowers (not blue) that are grouped in the axilla or at the top, and their stems reach over half a meter in height. The plants propagate clonally and thus sizable populations may cover alpine meadows. An impressive sight! Gentiana pannonica is an alpine plant that occurs in the eastern alps (one of its German names is "eastern alps gentian") and the western border of its distribution lies in eastern Switzerland. 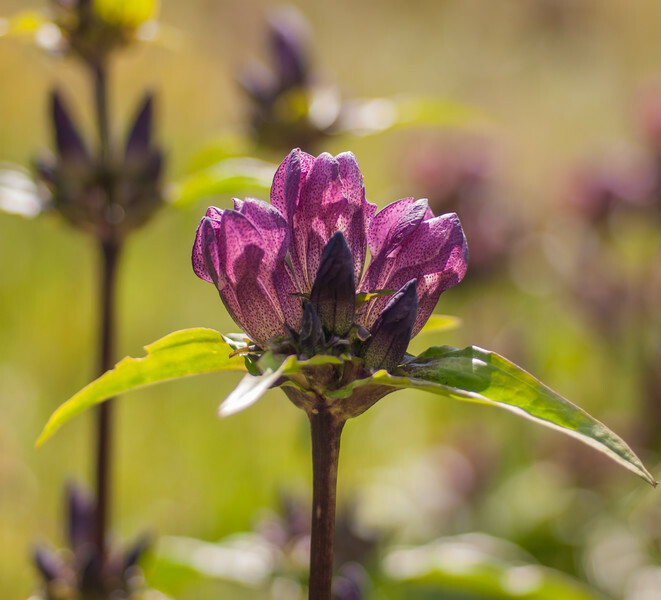 However, there is a very similar, by the looks almost identical, species, Gentiana purpurea, that lives in the western alps. The Hungarian Gentian is thus a vicariant species: one of (at least) two closely related species that are separated geographically or ecologically and thus do not interbreed. Sepals and petals of Tulipa sylvestris ssp. australis. Like many other species of the genus Gentiana, the Hungarian Gentian has been used as a medicinal plant as well as to produce Schnaps. Gentian roots apparently contain some of the most bitter substances known and are used for treating digestive disorders and other afflictions. 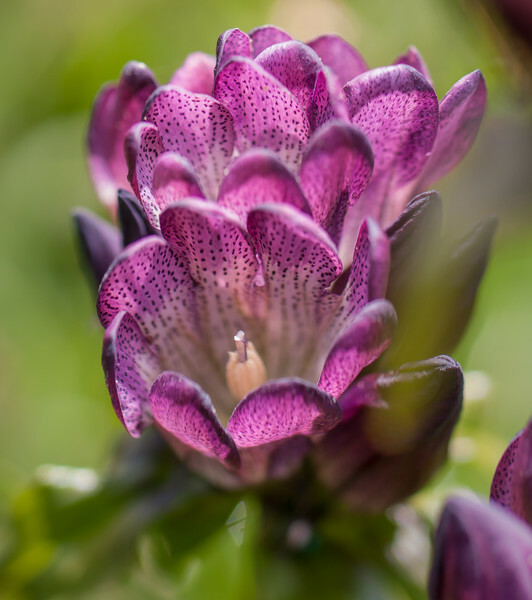 Due to their beneficial and desirable effects, Gentiana pannonica roots used to be collected assiduously, which has harmed the populations of this beautiful plant. The IUCN red list labels the species as "near threatened", while in some countries, for example the Czech Republic and Switzerland, it is even listed as "endangered". 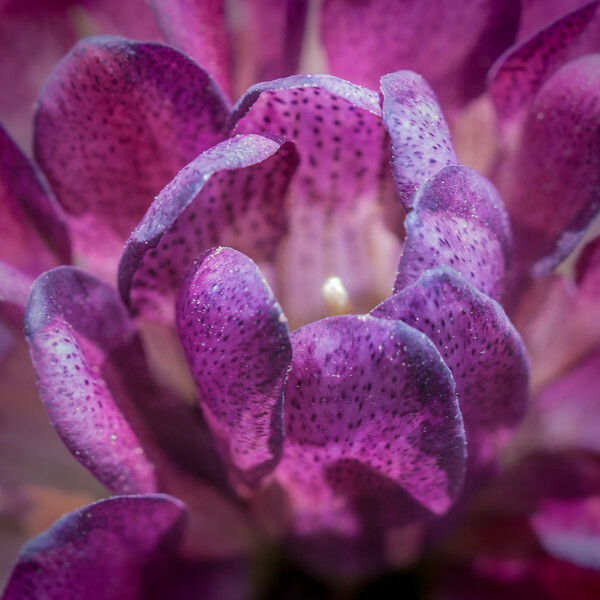 I think the large purple-magenta flowers, laced with tiny dark spots, are really beautiful and exceptional. In the three last photographs, the one above and the following two, you can see all the stages of budding and blossoming. 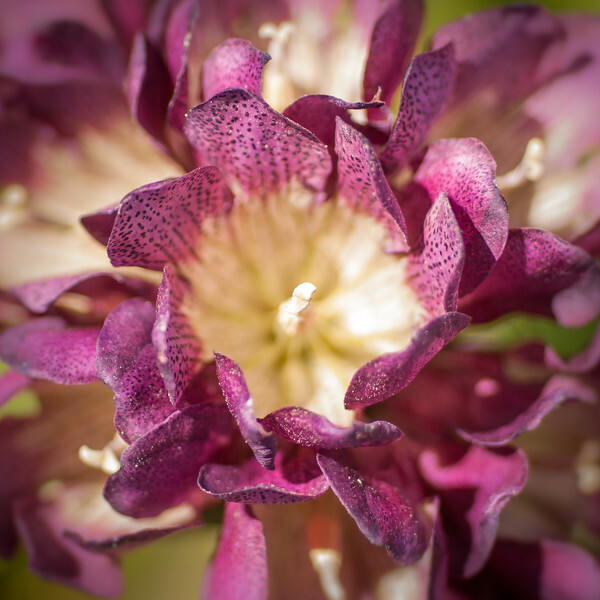 At first, the flowers literally seem screwed down, then the large petals slowly unwind, and in the last photograph the creamy yellow center of the flower is exposed. I am again late to present my monthly print, but the photograph shown here has not only been printed, but also taken in October. We were on a long hike to the Gamsjoch, a rocky summit in the Karwendel, when a herd of almost 70 chamois crossed our path and grazed along the valley slopes. Those of you who understand German realize that the summit's name is most fitting: Gamsjoch translates as "chamois saddle". Our children complained the disorderly distribution of the animals, which made counting difficult. After many counts and deliberations, we agreed on the number 69. The 16 animals in the October 2014 print were part of this huge chamois flock that, I believe, consisted of female and young animals (we could even watch some of them still suckling). Further along during the hike, we kept seeing more and more chamois and even a few ibex and a snow grouse (ptarmigan); but no fellow hiker. What an exceptional day! 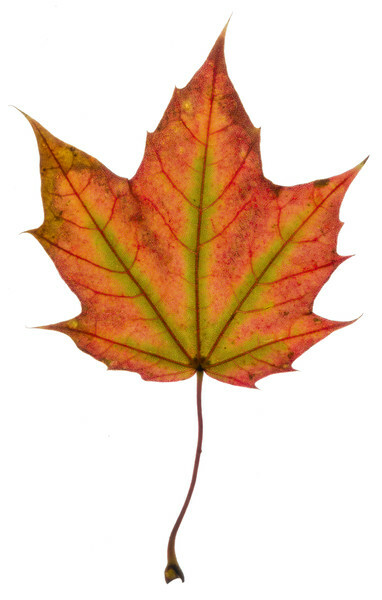 Although the colors of this photographs are not flashy and bright, they are nevertheless typically autumnal. I really like the different shades of brown and yellow of the grass, with a slight hint of red, that the chamois complete with they dark brownish winter fur. Also have a look at my earlier prints or suggest a photograph to be printed! Photograph © Diane Varner. Sweet Dawn (flowers of potato vine, Solanum jasminoides). The photography of Diane Varner did not catch my eye and interest immediately, but rather grew on me slowly. I was attracted by the subjects that Diane Varner discovers on her daily walks: intimate details of trees, plants and flowers, such as the one above, sea-, water- and landscapes, or even birds. What took me longer to fully realize and appreciate is the unique character of her photographs. For Diane Varner, post-processing is just as important as the actual photo searching and taking process. 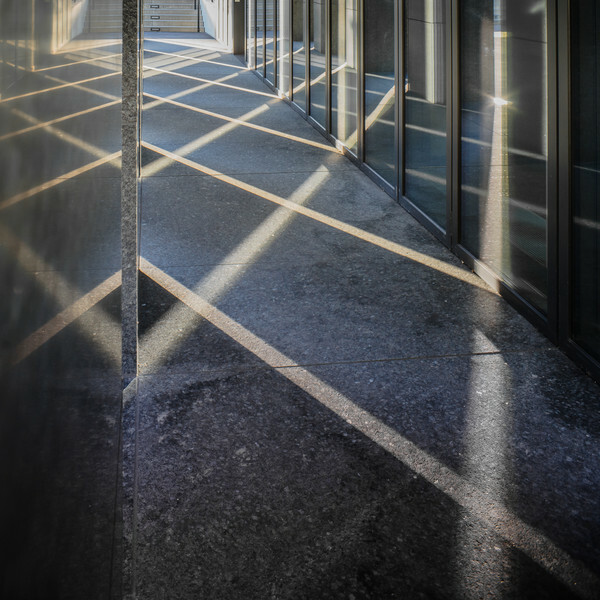 In most cases, the original content of the composition is not altered, but countless hours are spent exploring the photographs in the digital darkroom. She enjoys experimenting with the computer and to me, her photographs reveal a great effort for the choice and adjustment of the colors and overall appearance. If you are interested, Diane Varner shares some of her digital developing techniques in great detail in post-processing tutorials that feature before and after examples and also include PSD files to explore. To me, the most distinguishing characteristic of Diane Varner's photographs are the colors, which always create an airy, mystical, and also slightly surreal atmosphere. This unique mood is often emphasized by the contrast between the sharp main subject and the out-of-focus elements in the background. What I appreciate the most is the attention to the small details of beauty that are easily overlooked, but that enlighten our days if we are just willing to look carefully and consciously. None of her photographs feature iconic landmarks! Diane Varner explores the beauty nearby her home on daily walks with her dog and also shares her creations in an award-winning blog with that name (for example, her blog is in the top 10 on coolphotoblogs!). It is inspiring to read about her growing awareness of the small gems in her environment and how, by her daily explorations, "the mundane had become magical and I wanted to record it and share my excitement of what I had found". To learn more about her photography and to enjoy her images, head over to the daily walks website, visit her galleries, and maybe read some of the interviews that she has given (listed on her "about page"). The photograph above is one that I think is particularly representative for Diane Varner's photography. It is also a photograph that does not only appeal to me, but also to the masses: it has been awarded in the International Garden Photographer of the year 2012 competition with the third place.